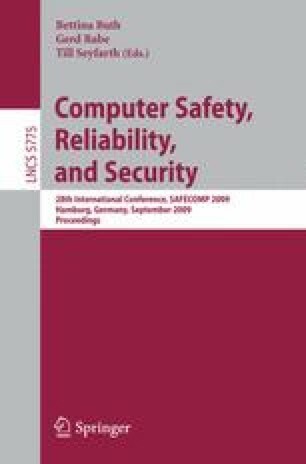 To handle the complexity of safety-critical embedded systems, it is not appropriate to develop functionality and consider safety in separate tasks, or to consider software only as a black box in safety analyses. Rather, safety aspects have to be integrated as tightly as possible into the system and software development process and its models. But existing safety analyses and models do not fit well with software development tasks such as architectural design and do not take advantage of their strengths. To solve this problem, this paper extends fault tree analysis by hierarchical component-based abstraction, enabling fault tree analysis to be integrated into a component-oriented model-based design approach and to handle the complexity of software architectural design.